We gratefully acknowledge the generous San Francisco Bay Area leaders who served as ambassadors for the 75th Anniversary. With their support and leadership, the celebration showcased the creativity, talent, and civic spirit that produced the Golden Gate Bridge 75 years ago and that continue to define our region today. 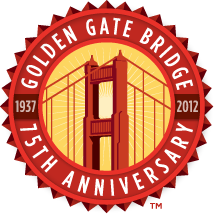 Two fourth-generation San Franciscans, Larry Baer and Nancy Bechtle, served as co-chairs of the Golden Gate Bridge 75th anniversary Steering Committee, established by the Parks Conservancy. As co-chairs, Baer and Bechtle led efforts to engage the Bay Area community in supporting the 75th Anniversary celebration. CEO, Levi Strauss & Co.